In the end, the large file size of next-gen games killed the "no disk drive" argument. 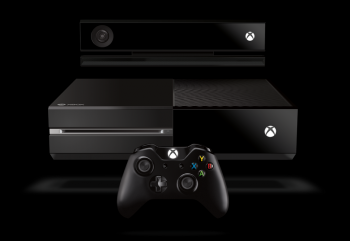 We all know that Microsoft was pushing for a brighter, digital, always-online future with the Xbox One, and now Microsoft Studios boss Phil Spencer has revealed that in order to pursue this vision, they debated removing the console's optical drive altogether. Spencer says that ultimately, the ginormous file size of next-gen games was what killed the "no disk drive" argument. "There was a real discussion about whether we should have an optical disc drive in Xbox One or if we could get away with a purely disc-less console," Spencer told IGN, "But when you start looking at bandwidth and game size, it does create issues." "So we decided - which I think was the right decision - to go with the Blu-ray drive and give the people an easy way to install a lot of content. From some of those original thoughts, you saw a lot of us really focusing on the digital ecosystem you see on other devices - thinking of and building around that." Considering the immense backlash surrounding the console's initial "always-online" nature (that eventually led to its reversal), I think most of us would agree with Spencer, in that keeping the disk drive was the right decision. Do you only purchase physical disks for your platform of choice, or do you purchase everything digitally? I do a mix of both - I like to have disks for my consoles, while my PC games are almost exclusively digital downloads.